Jo Mayer, Marketing Director at ICE Totally Gaming: „We have 7% more exhibitors than the last year” - Casino Inside - The gambling industry magazine! The start of ICE TOTALLY GAMING 2015 is coming up fast. The most important gaming exposition in the world will exceed the expectations of both visitors and exhibitors, this year as well. 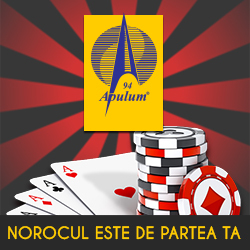 In order to feel the pulse of the events taking place in London during these days, awaiting for the exposition, we have contacted Jo Mayer, Marketing Director of ICE Totally Gaming, to provide the Romanian gaming public with more information on this edition of ICE Totally Gaming. What news you have for ICE Totally Gaming 2015? With so many things happening and 500+ exhibitors it’s very difficult to know where to start to be honest! In fact I think it’s the surprise element of exhibitions and of ICE in particular that motivates visitors to travel half way around the world in search of the unexpected, that’s why our Discover creative is so appropriate. In terms of what visitors can expect to see at ICE the simple answer is everything that’s new and relevant to all of gaming. ICE is the only exhibition which covers the totality of gaming – both online and offline – and with over 50 nations represented on the show floor, the only event which provides a world as opposed to a regional perspective on the industry and we are fortunate to have the most powerful and smartest innovators in gaming on our show floor. Thanks to the imagination and creativity which ICE exhibitors apply to their presentation at the event, ICE has become an adventure where gaming professionals and entrepreneurs discover new suppliers, discover ground breaking technologies and discover those landmark products which have the potential to transform the way the industry does business. There’s a whole range of meetings, seminars and networking events taking place at ICE – in fact there’s too many to mention here and the best information source is the dedicated ICE app which allows visitors to access the show’s full event schedule. The ICE app, is available to download for free from the iTunes App Store and the Google Play Store. How many visitors do you expect for this year? But exhibitors? How many square meters has this ICE? Please, details. We are always reticent to make predictions but the pre-registration figures are healthy and the anecdotal feedback we are receiving is encouraging. In terms of exhibitors, we will open with 500+ occupying some 37,318sqm, a 7% increase from the 2014 show. What are the most important conferences and events at this ICE 2015? I saw that it’s an important part for ICE this year? Our Conference programme has become an extremely important part of ICE week. It starts on Monday 2nd February with the International Casino Conference (ICC), which is being held at the iconic Hippodrome Casino, situated in London’s Leicester Square. This is the first time that the International Casino Conference has been taken out of a conventional conference-style setting and we could not have wished for a more prestigious and appropriate venue than the Hippodrome, which is taking the casino experience to another level and is the perfect venue at which to host our delegates. Co-organised with the European Casino Association, the 2015 ICC will bring together Presidents, CEOs and Board Members of all of the largest casino groups in Europe. The Conference will provide delegates with a platform to exchange views on the most burning issues affecting the land-based industry while giving them access to key speakers including Harrie Temmink, Deputy Head, Online & Postal Unit, DG Internal Market & Services at the European Commission. The ICC is one of eight targeted learning events that cover all of gaming’s vertical markets. Delegates can opt for an access-all-areas passport, which gives the freedom to explore the entire ICE Conferences programme or, alternatively, select a single conference of interest. In addition to the ICC the programme comprises: Betmarkets; Cross-Platform & Multi-Channel Gaming; Cybercrime, Security & Regulatory Compliance; Data Insight & Business Intelligence; Game Design & Development; Lotteries For The Future; and, World Regulatory Briefing. The opportunity for visitors to listen to the current debates and issues surrounding the totality of gaming and then to see the very latest products on what is gaming’s busiest show floor is a major advantage of attending ICE and an important reason why so many thousands of the world’s most influential gaming professionals regard ICE as their ‘must attend’ show. For out of hours networking we have created the London Casino Club which involves selected gaming partners comprising the Hippodrome (Leicester Square), Aspers (Westfield Stratford City) and seven Grosvenor Casinos situated throughout central/west London. The initiative, which has been developed in conjunction with National Casino Forum, involves a wide range of compelling hospitality offers including an American themed Super Bowl party at the G Casino in Piccadilly, a Champagne reception and free to attend poker tournament at Aspers and a complimentary shuttle service from ExCeL, free drink and casino tour courtesy of the Hippodrome. The London Casino Club will help our stakeholders get the very most out of ICE week after they’ve spent the day with the 500+ exhibitors on what is gaming’s busiest show floor. In your opinion, why it’s ICE Totally Gaming the most important gaming exhibition in the world? ICE Totally Gaming is the only B2B gaming event that brings together the online and offline gaming sectors. It has world-leading innovators drawn from the casino, betting, bingo, lottery, mobile, online and street sectors, thereby providing a unique, complete and international perspective on gaming. Off the show floor visitors can explore the hottest growth areas in land-based, online and mobile gaming courtesy of the ICE Conferences programme, which delivers a unique chance to benefit from targeted learning. Added to this we have an extensive free seminar programme, endless networking opportunities and an audience which comprises the entire international community of gaming and gaming regulators all in the same place at the same time. It’s a priceless and unique opportunity to do business, to learn and to connect with like minded gaming professionals. Entire interview you will find out in Casino Inside no. 51, print edition, which will be soon on the market.